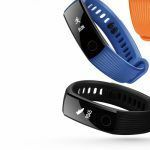 The Huawei Band 3e can be attached to your shoes for accurate running data, including the form of your body while on the move, so that the tracker can provide instructions on how to improve the form and avoid injuries. 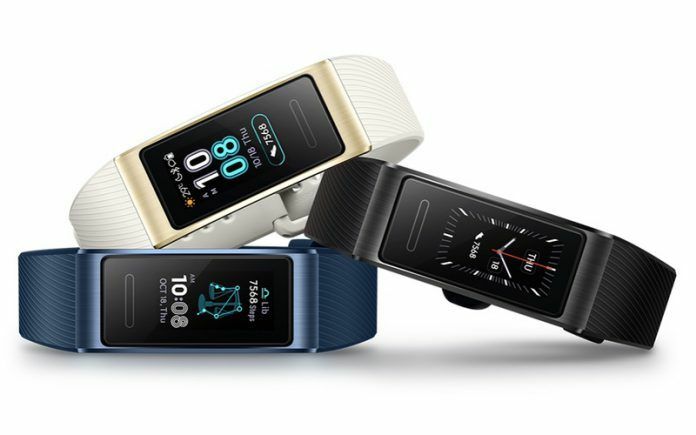 Huawei has released two new fitness trackers today, on November 09, in the US. The new smartbands, Huawei Band 3 Pro and Huawei Band 3e, come with a wide range of new features for smart tracking and coaching of health and fitness routines. The Huawei smartbands are now available for sale in the US via Amazon, NewEgg and B&H. The Huawei Band 3 Pro is the pricier of the two, selling for USD 69.99 (INR 5,099 approximately) in Black, Blue and Quicksand Gold colors. 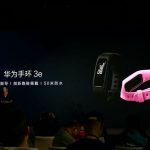 The Huawei Band 3e costs lower at USD 29.99 (INR 2,099) and ships in Black and Pink colors. Other retailers in the US, such as Tiger Direct and Circuit City will also sell the smart trackers soon. In India, we get the Huawei Band 2 Pro for INR 5,999 through Amazon.in. There is no word on when the new Huawei bands could come to India. The Huawei Band 3 Pro is water resistant and features a color AMOLED touchscreen. The display is 0.95 inches in size and has a 2.5D curved shape. 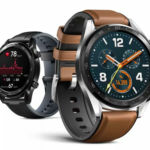 Huawei calls this product an all-in-one smart activity tracker, which offers a raft of features such as mobile text reminders, a multi-sports mode, built-in GPS, and of course, trackers for monitoring heart rate and sleep patterns. The multi-sports mode helps track the user’s health and fitness for several kinds of sports or exercises, such as indoor cycling, outdoor cycling, indoor running, outdoor running, pool swimming, open water swimming, free training, and outdoor walking. The band comes with Huawei’s TruSeen 3.0 heart rate monitoring system, which employs infrared (IR) sensors and artificial intelligence (AI) to provide live heart rate data. Using Huawei’s TruSleep, which the Chinese brand developed in partnership with Harvard Medical School, the Huawei Band 3 Pro can track your naps, waking hours, light sleep, deep sleep, and REM sleep. Additionally, it identifies six common sleep-related issues and provides solutions accordingly to assist you in achieving a healthy sleep routine. For sports routines, you can leave your smartphone back home and go out running, and the Huawei Band 3 Pro will still provide you with real-time evaluation of your track routes, distance run, effects of physical training, recovery time and your VO2 Max (maximal oxygen uptake). 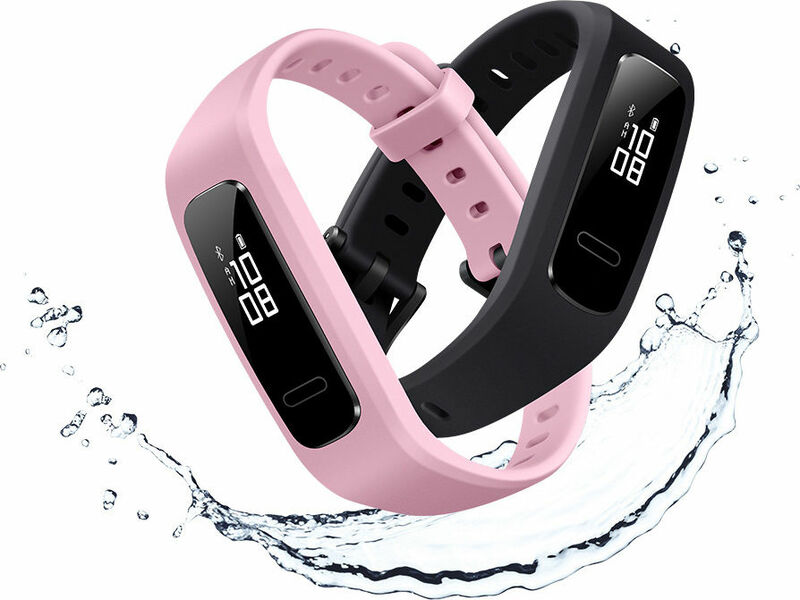 Swimmers would be delighted with the Huawei Band 3 Pro, as it employs a 6-axis IMU sensor that tracks precise data on distance swam, number of laps, number of turns, stroke style, calories burned and average Swim Golf or SWOLF scores. The band is also 5ATM water resistant. You can use the Huawei Band 3 Pro with Apple as well as Android smartphones, and it will allow you to reject calls, read app notifications, SMS and email, and remotely use certain apps such as calendar and weather. When connected to Huawei phones booting EMUI 8.1 or higher, you can remotely operate your camera app too. The Huawei Band 3e has a smaller 0.5-inch PMOLED display and the same 50m water resistance. It has a detachable wristband so you can use the band on your wrist or remove the band from the strap and attach it to your footwear. It weighs about 6 grams without the strap so it will not make your foot or shoe perceptibly heavier. It uses the same 6-axis IMU sensor to track your running data and patterns and provides instructions on improving your form of running. This is accomplished by the recording of the minute details of each of your runs, including runs in the rain. The Honor Band 3e tracks your swing angle, landing impact, step length, cadence, and ground contact time, and recommends the best ways to improve your form and avoid straining your feet. While it is not required, Huawei recommends you download the Huawei Health app, which has an integrated dashboard to keep track of all your health and fitness data from your Android or iOS-based smartphone.